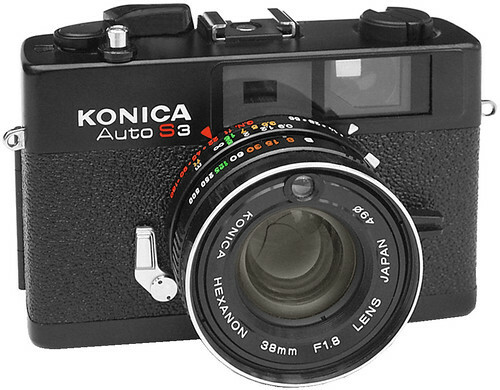 The Konica Auto S3 is a versatile 35mm, shutter-priority rangefinder camera. The camera is very similar in most respects to the Vivitar 35ES, Revue 400SE and Minolta Hi-Matic 7sII, and is believed to have been built by Cosina for Konica. The S3 has a fast (f/1.8) 38mm, six-element lens that has garnered a reputation for extremely sharp and detailed images. This page was last edited on 1 January 2019, at 20:00.